Thomas wakes up and rolls over. He&apos;s looking for Sally, who comes back to bed with some coffee. She says she has to go to work, which reminds Thomas he&apos;s unemployed. 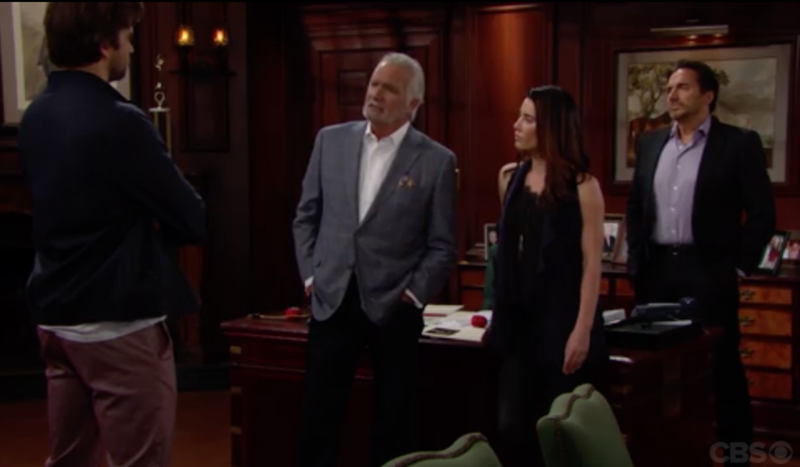 Steffy and Ridge bicker about the collection. Steffy firmly tells Ridge that they need Thomas. Ridge counters that they have Zende to design. Steffy reminds daddy that a younger version of him may have done the same thing as Thomas. He replies that he never betrayed the company. Steffy disagrees with his point of view. Nicole and Vivienne go to another doctor for a second opinion. After an ultrasound, the doctor confirms the first diagnosis. The doctor explains that she may have other options, like IVF or surrogacy, but may not be able to carry a child on her own. Jealous Saul says he&apos;s not thrilled that Thomas bailed out Spectra. Shirley tells him they should be grateful and wonder if they should send him a gift. Saul says he doesn&apos;t trust him. Shirley warns Saul that since Thomas put his money up for the rent, he may be around all the time. Coco and RJ drop by Forrester to hand off Lizzie to Pam. When Nicole arrives at Forrester, she wonders what&apos;s going on. RJ explains that Maya called Pam to watch Lizzie. Vivienne is watching Nicole watch Lizzie. Nicole goes to Pam and takes Lizzie from her. Nicole, Lizzie, and Vivienne go to the other office to talk. Vivienne reminds Nicole that Lizzie will always be her little girl. While she&apos;s holding Lizzie, crazy Nicole repeats, "My little girl, my sweet little girl." When Sally gets to work, she tells the crew that Thomas got fired. She lets them know that he went to a Forrester meeting, which could put their company in peril. They worry about their future if Thomas makes nice with his family. 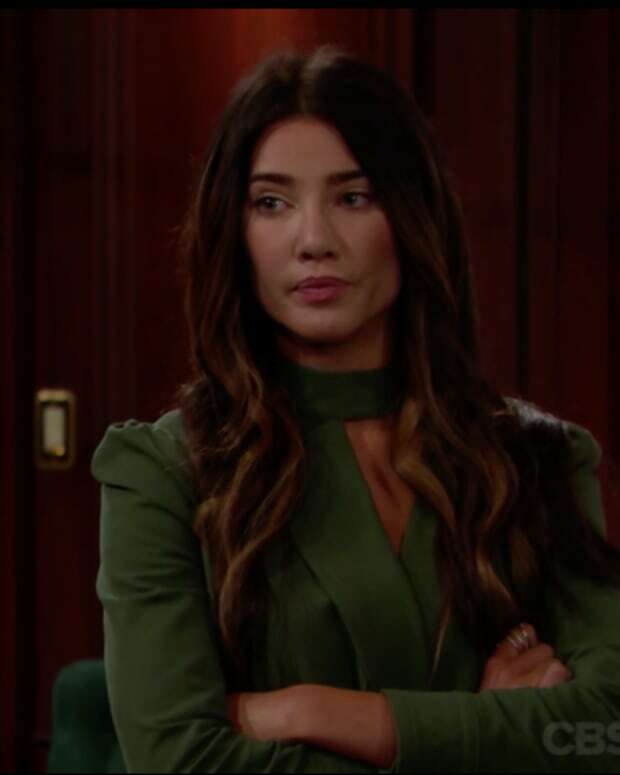 Steffy calls Thomas to meet with her, Eric, and Ridge to resolve this problem. 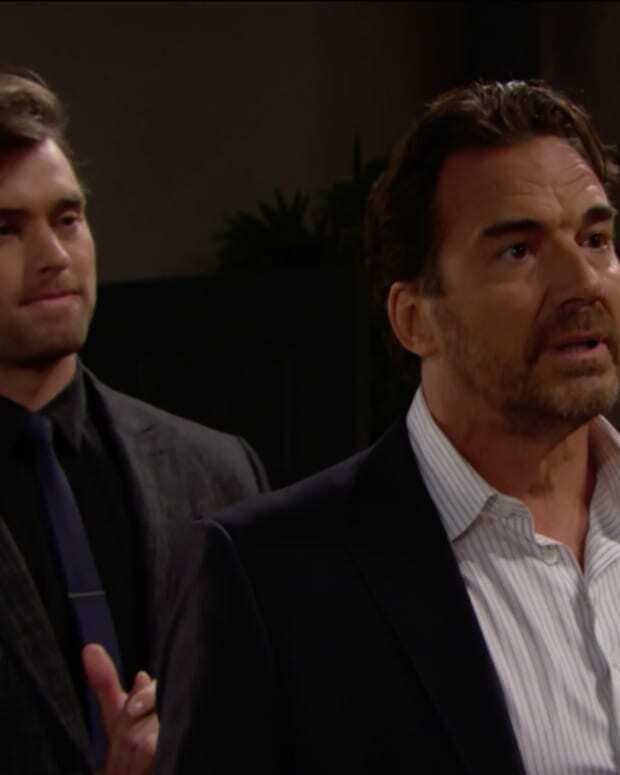 Ridge tells Eric and Steffy that Thomas&apos; actions are unacceptable and stands by firing him. Eric agrees that he made the wrong choice, but he doesn&apos;t think he should be fired. Steffy tells them Thomas&apos; feelings for Sally are real. Thomas comes into the office. Everyone tells him how much they missed him (as if he&apos;s been gone for weeks). Eric and Steffy tell him they can&apos;t condone what Sally did, but know she was duped by Bill. They acknowledge his feelings for Sally and want him back. Steffy tells him he&apos;s a Forrester and he belongs with them. Thomas looks to Ridge. He wonders if he feels the way Eric and Steffy do.